Nick Larsson (aka frals) has posted an article on adding a small (120x120px) logo to your N9 lock screen. John Hutchison's Generating false colour images on the Nexus One using only grayscale pixels contains source code and examples. As you can see, the colour mapping isn't the same (meaning new reference images need to be generated). However, you'll see it is possible to have colour logos on the lockscreen. Hopefully someone will take it forward, perhaps Nick can update his tool to do colour mapping; or someone can post the reference images so that the Java source code from Luke Hutchison can work. Can't you just use a color PNG there? 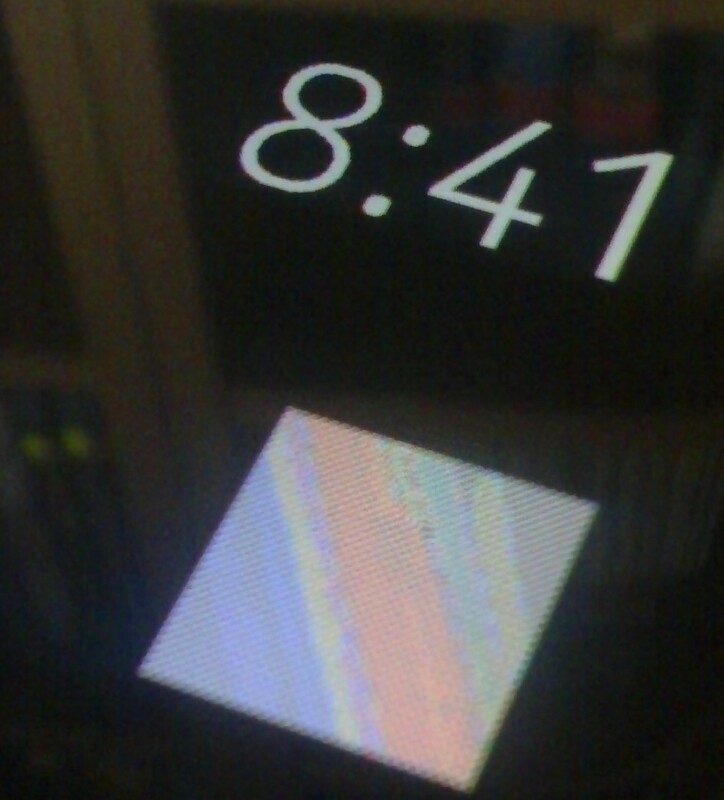 AFAIK the lock screen is only a low-powered mode of the AMOLED screen, but the pixels themselves don't change, so they are still able to do colors (in fact, due to the low-powered mode, it's easier to spot the colors at the edges of the clock numbers compared to the full-power mode). You can use a colour image, but the colours are flattened into a much darker, more limited palette. Some combination of identifying which colours can be used; and what dithering effects will generate certain colours could give the best effect.